This is really a case of not one but two different type of tonalities and presentations, one with NS off and one with NS on. With NS off the NS-U1, perhaps unsurprisingly, has a much less integrated and left right stereo presentation and throwing out relatively typical consumer u-shaped signature. Bass starts at a reasonably elevated level and from there begins dipping to around 1k before climbing again from 1-5k with a slightly elevated vocal presence and lower treble performance. There is a minor peak again around 7k but nothing serious, the main peak is around 5k. After that the treble falls away pretty sharply. Tonally the NS-U1 with the NS tech switched off is a bit flatter than when the NS-U1 NS tech is switched on with a fairly neutral bass extension that’s reasonably snappy for a dynamic driver. Lower treble extension has a slight shine to it on high energy tracks, particularly with neutral sources but that drop off at the top end stops it from becoming too bright overall. Your ears will need a few seconds to adjust to how things are being presented to you on NS mode also as everything is pulled in a bit more from the sides and placed more in front of you imaging wise. Within those seconds however immediately you will notice the tonality get a welcome injection of warmth, body and musicality. The NS On mode clearly sounds the beefier of the two signatures. Left right stereo separation is far less tangible also and initially you might think your soundstage is being squeezed up and becoming more congested or intimate but in reality it actually does sound a bit more like how some speakers project. Bass is fuller sounding also on NS mode whilst the treble performance on the top end remains roughly the same in terms of quick roll off beyond 7k. If anything that should further recess the midrange but I found the mids and vocals to perform roughly on the same level only with more body and much more center focused than with the NS tech switched off. 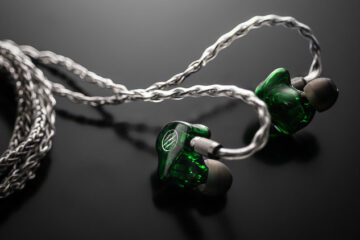 Now understandably we have been listening to IEM’s without NS tech for a long time and subsequently I do feel there are some who will prefer the greater width offered by the regular non NS driver and the more neutral bass signature. The slightly elevated bass response of the NS On mode I think might also be a bit much for some but I do prefer its more coherent and “together” natural sound. NS Mode sounds the more natural and smoother of the two side by side and it is the side of the NS-U1 signature I think you could listen to for a lot longer overall without fatigue. 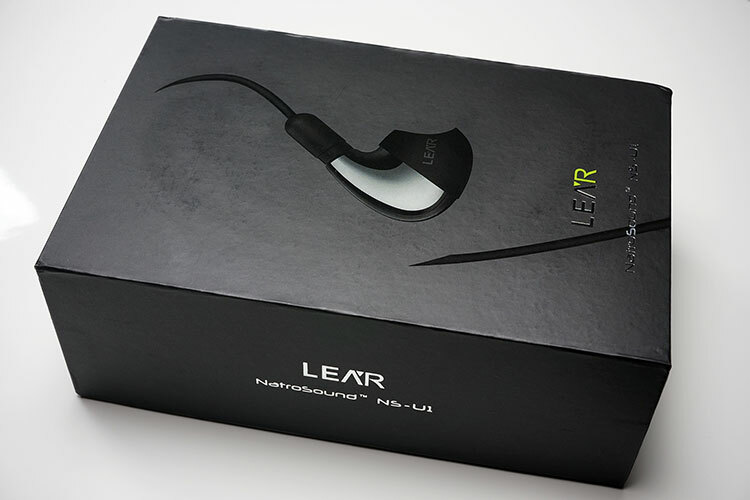 The NS-U1 has two different impedance settings so whilst SNR is relatively unchanged at 105dB (off) to 104dB (on) the resistance is almost half at 16dB on the On setting to the 30dB on the ‘off’ setting. This is unlikely to make a huge difference to your everyday use and sure enough the NS-U1 is not the hardest of IEM’s to drive. 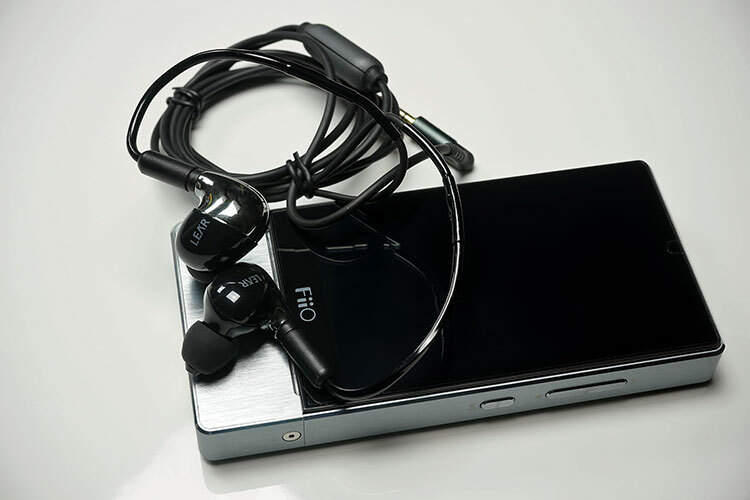 Digital gain control on the FiiO X7 is a comfortable 70 with the NU-S1, the DX90 at 200 and the DX80 at around 70-75. It sounded superb actually with the new FiiO M3 with total control at around 30 on its digital volume which is only 50% and even my BB Passport sounded relatively ok without resorting to full power. Tonally the best match I found was with the FiiO X7 and M3. I am not entirely convinced those with AK240’s will be reaching for the NS-U1 given the target market but it does sound excellent also out of the AK240 with brownie points for clarity, detail and realism. The X7 edged the DX80 in terms of detail retrieval and the IEM card was excellent in terms of control, clarity and balance with the NS-U1. The M3 pushed the NS-U1 more to a typical consumer sound with a lower resolution and less top end articulation but gave a very pleasing and smooth response with a nice mid-bass elevation that for $55 you simply can’t beat. The BB Passport tended to make the treble sound overly dry and lacking in definition. That 5k peak was a bit to prevalent for me even with the more natural sounding NS on mode. I know a few crosstalk nerds who might enjoy the NS-U1 quite a lot actually. these are the guys who like to fiddle to recreate that speaker sound in their head, never satisfied with the unnatural separation average IEMs offer you. Does the NS-U1 give you that front image? Well yes it actually does a good job of tightening up the response of the regular IEM left right channel separation to produce a very different sound indeed. Both sound signatures are still what I would consider consumer sounds though with the non NS signal being somewhat the flatter of the two and the NS sound being the beefier harder hitting and warmer. I would love to see how this would all work on a more neutral and linear sound signature, perhaps even one with a predominant midrange. 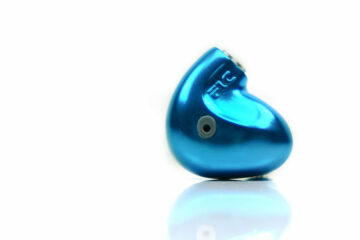 If the tech can be planted into higher end earphones, then there is a very rich potential indeed for this technology. The new tuning NC-03 cable also adds another perspective and my hope is that this cable can give a bit more control over the NS sound and allow me to finally tweak it to where I need it to be. I would also like to see if the tech inside can be shrunk a little bit more as the size and fit of the NS-U1 is a bit on the big side and the nozzle is quite long though not a deal breaker for me ears. Tips can play a role, some slide down exposing the nozzle so watch out for that. As it stands the price of HK$1600 is not a bad price for such a bold experiment and if you are into your u-shaped sound signature, enjoy modern genres such as EDM and Hip Hop as well as some genres of heavy rock then actually it’s a decent performing dynamic driver in its own right with above average detail retrieval regardless of the new tech stuffed inside.